Enjoy a spectacular photo of beautiful Peru every month! Click on any month to view a larger image. Calendars make great Christmas gifts, so get this one now for your favorite fan of wild weather! Or, give yourself a well-deserved treat. 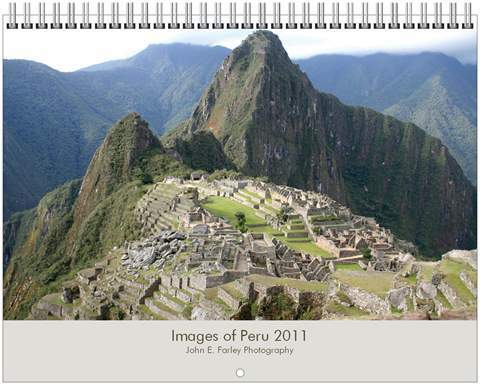 The recipient of this calendar will enjoy images of unusual and spectacular weather events throughout the year! SORRY, THIS YEAR'S CALENDARS ARE SOLD OUT. To enquire about future availability, you can email John Farley.